The place to buy or sell a boat or yacht in Scotland! Make your choice, Sail Craft or Power Boats. Caley Boats is a specialist boat brokerage service to help you sell your boat, or search for and buy your next boat. Based in Inverness in the Highlands of Scotland, we naturally specialise in helping Scottish boating and sailing enthusiasts buy and sell their craft. 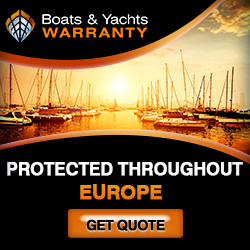 If your boat isn't in Scotland the scope of our network and years of experience in the business means that we can also represent you elsewhere in the UK or overseas. Or you could be in the market to buy a boat? In which case do please take a stroll through these pages to see if you can find the boat that's right for you. When you want to know more, just contact us for prompt, friendly, knowledgeable advice. If you would like to use our free warranty calculator or compare the best Insurance prices please click on the relevant logo.